It's day three of Hip for the Holidays, and I thought we'd spend a bit of time accessorizing the boys in our lives. It seems that it is always a bit of a challenge dressing up a little boy (or big boy for that matter). Shirt and tie with dress pants is about as dressed up as they get. So why not play with what we have to work with. Instead of the traditional neck tie, let's try a bow tie. 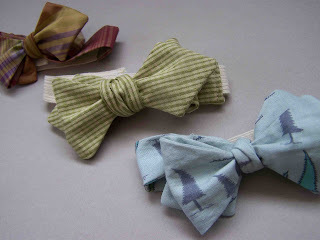 Recently I fell in love Cheri's (of Roar, and I am Momma Hear Me Roar) Retro pointed bow ties. She has some fantastic bow tie patterns for the little men in our lives. 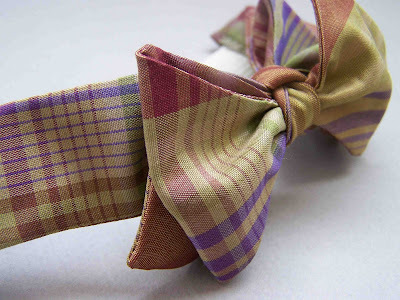 The retro pointed bow tie is a fresh twist on the slightly ubiquitous bow ties that can be found around bloggerdom. 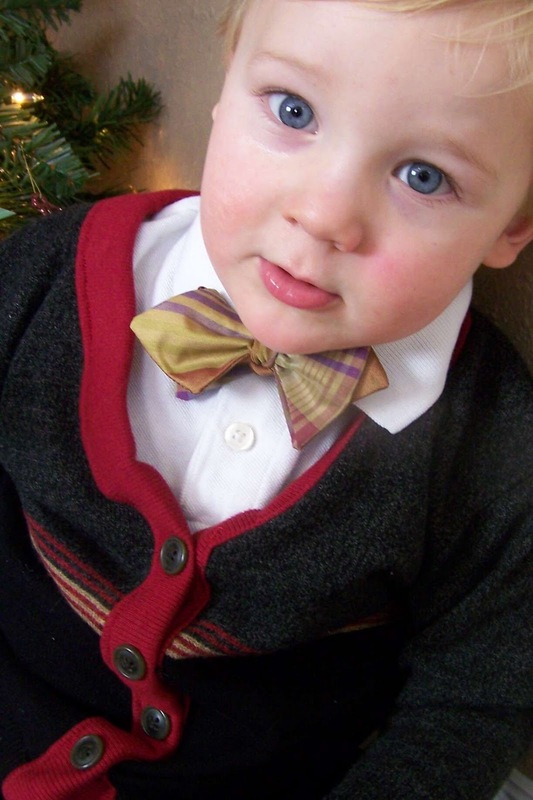 I think that this bow tie is just what every little man needs to complete his holiday outfit. I was thrilled to try out Cheri's pattern for Hip for the Holidays. The pattern was very easy to follow. She does a fantastic job with all of her tutorials, and this pattern was no exception. I was a bit fearful that Clark would refuse to wear the bow ties, but to my delight he was more than willing to wear one to church last week, I think he's trying to charm the ladies in his nursery class. Cheri recommends using cotton fabric, which I did with the tree fabric, but I also used up some scrap decor fabric that I had in my stash. I really liked experimenting with the different fabric weights. (and fast) project for the holidays. You can find the pattern here, and her fantastic blog over here. 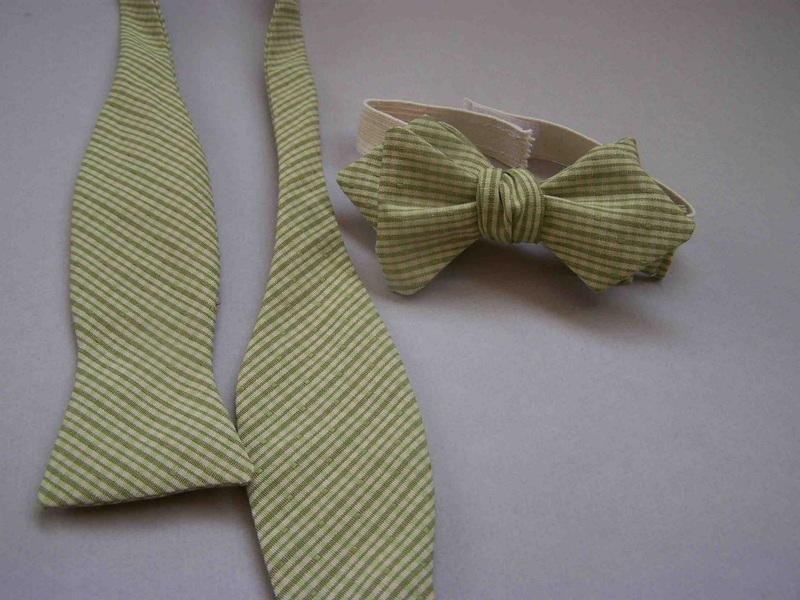 After making Clark a few ties, I thought that my husband might need one to match. 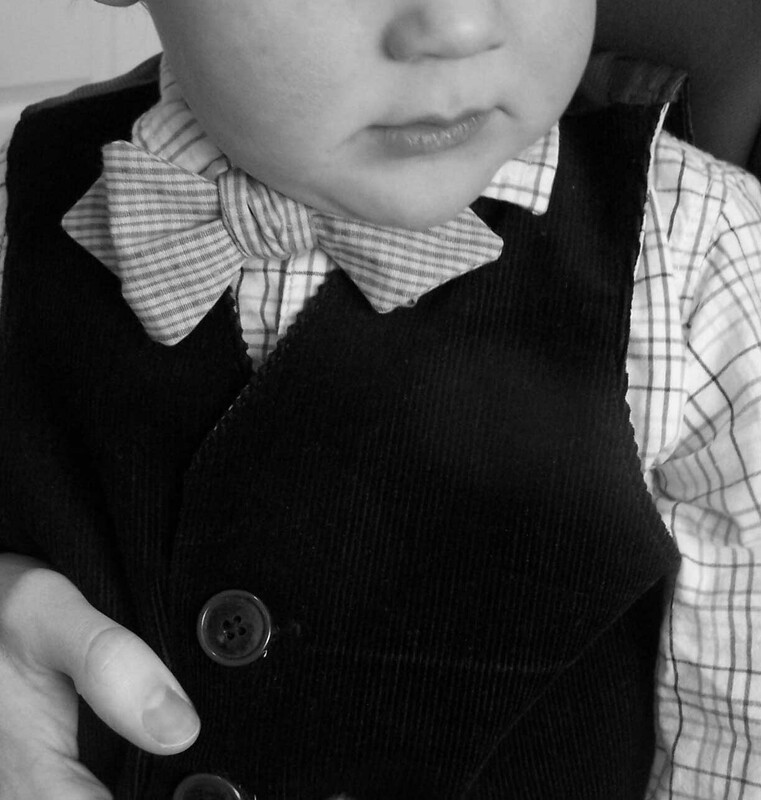 When I mentioned making him a bow tie, he looked less than thrilled. I found a free pattern for the grown men in our lives at Burda Style. Sadly, it's not retro pointed, but it is still a nice change for the holidays. The pattern is called the David Bow Tie. It was also easy to follow. This pattern does call for the bow tie to be cut on the bias, requiring a bit more fabric. It was a quick and easy sew. You can find it here. My bow tie tying skills need a bit of work...HELP. I think that my husband has the perfect build for a bow tie, and he can totally pull it off. He wore his bow tie to church on Sunday as well, and I'm pretty sure that he's converted. He hinted toward the fact that he was interested in having a few more. One tip, I think that bow ties look great when paired with vests and cardigans. My husband wore his with a vintage three piece suit, oh he looked handsome. Remember to link up your holiday related projects at our Hip for the Holidays link party. Anything that you would wear during the holidays to get a bit dolled up (jewelry, hair accessories, clothing, dresses, ect). 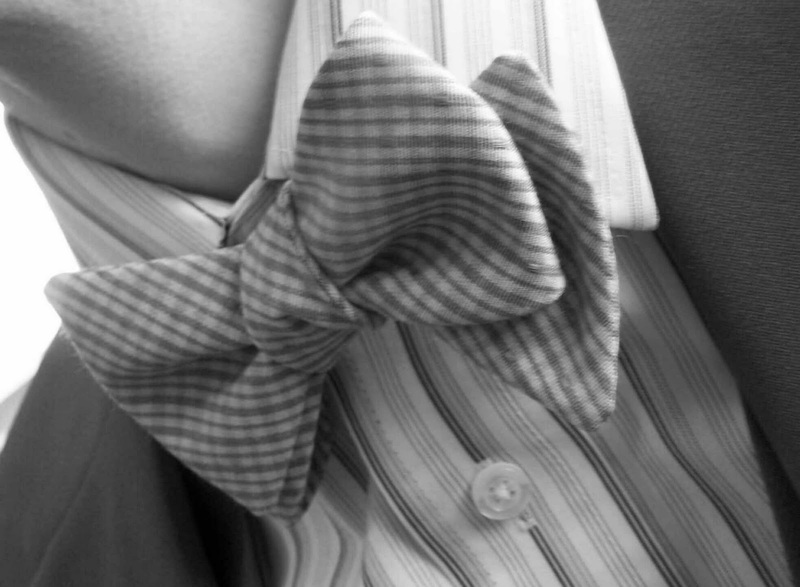 This post dedicated to Scott Franson and his incredible bow tie collection. They are soooo CUTE!! I just made one today for my 5 yr old brother. I used a 100% cotton plaid button-up shirt that I had laying around because I am really into going green! Thanks for checking out my blog. SO sweet! My father has been asking me for bow ties for ages! I should do this for his Christmas present! Thanks for the Inspiration! 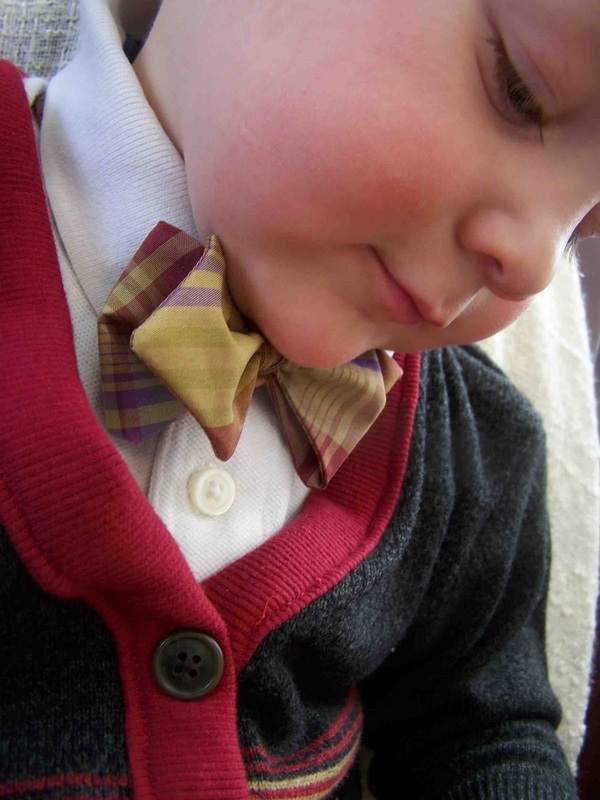 I wonder if my five year old would deign to wear a button down shirt if he had a bow tie to go with it. That just might be his style. So fun! I am featuring this on somewhatsimple this Tuesday! Thanks for the idea! Just curious, what is the "perfect build" for wearing a bow tie? I'm starting to get brave enough to wear one to work, etc.